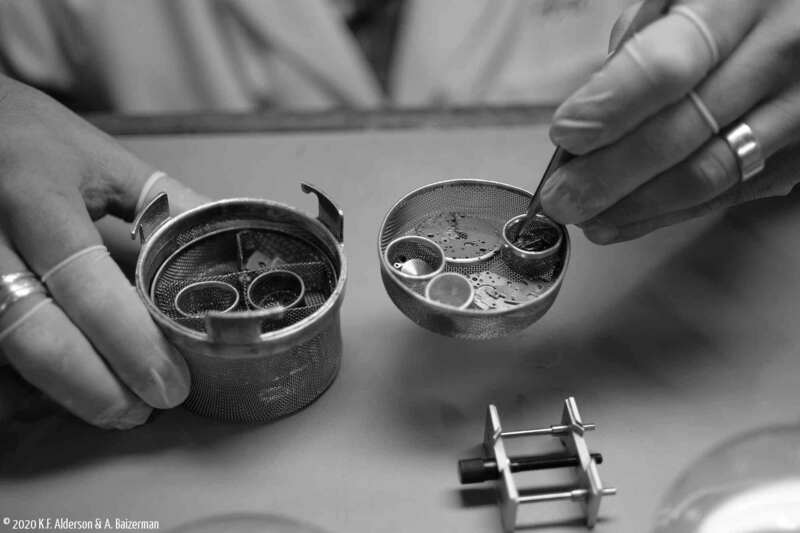 A. Baizerman Co. Watch Repair Services - Vintage Watch Repair, Vintage Chronograph Repair and Quartz Watch Repair. Why choose Ari to repair your fine watch? If your watch is in running condition, minor repairs such as replacing a damaged crystal or crown, battery service including water-resistance testing, and bracelet repair or bracelet adjustment can be performed without a complete service. I have almost two decades of experience. Your watch is in capable hands. 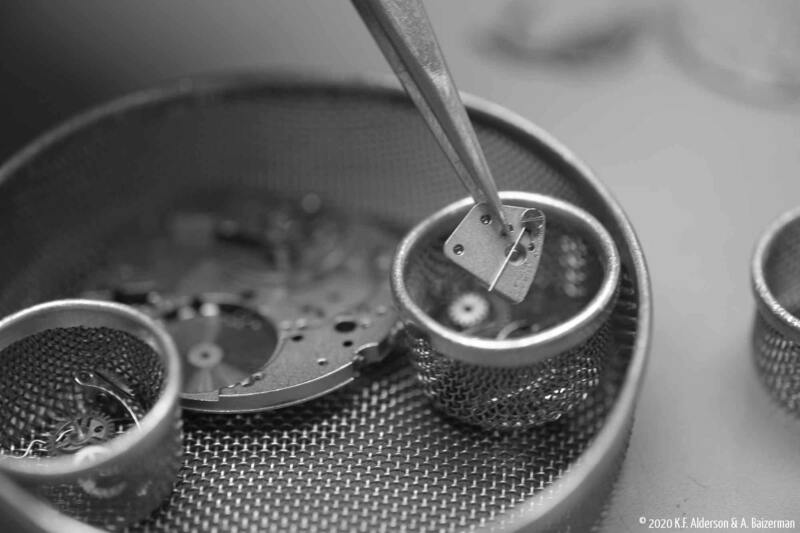 When your quartz or mechanical watch stops running, or otherwise frustrates you, it may be time for an overhaul. The watch movement is taken apart completely, cleaned, oiled and adjusted. The case and bracelet are refinished and gaskets are replaced. Water-resistance is tested for all watches rated 'water-resistant'. Family heirlooms, antique pocket watches, and heavily damaged or rusted watches often require attention beyond a complete movement overhaul. Designing and fabricating of replacement parts for ancient, rare, or extremely damaged watches takes time, but may be the only way to save your unique watch. 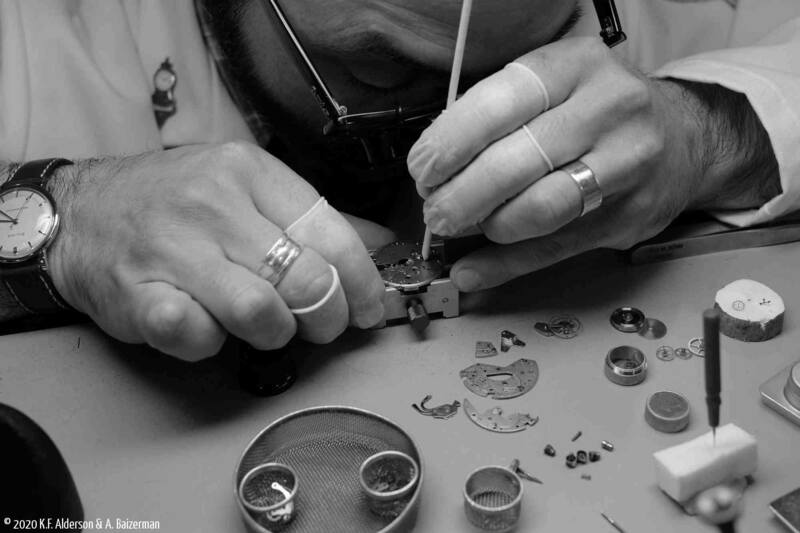 Polishing, or 'refinishing' the watch case & bracelet is part of a complete service, but you may only need the bracelet repaired or the finish restored. Satin or high-gloss, two-tone, stainless steel or solid gold, I can bring back the appearance and function of your bracelet & case. When your unique timepiece is due for repair, I am here. I service most alarm watches, split-seconds chronographs, yacht timers, car clocks and many other types of unique watches. A complicated watch needs care and attention to detail. I recommend sending your watch via USPS Priority Mail. Tracking is included. Insurance is additional. My address is below. I can send you a prepaid return label or a prepaid return package. Contact me for details. A Priority Mail Small Flat Rate Box is a good size for a watch. Boxes are available without charge at any US Post Office. When you are ready to send your watch, use my online repair form. After you have filled out the repair form, click 'send and print' to print a packing slip and to let me know your watch is on the way. Put your watch in a small plastic bag with the packing slip, and wrap with paper or bubble wrap. Seal the watch in the box. Tape the prepaid return shipping label to the outside, or take the package to a US Post Office to purchase postage. Drop off your prepaid package with a postal clerk at any US Post Office. You can leave the package without waiting in line, or give it to a clerk and get a receipt. You can also give a prepaid package to a letter carrier. If you want to use a carrier other than the US Post Office, please contact me for important details. When I receive your watch, I will evaluate the condition of the exterior components, open the case, and inspect the movement. You will receive a detailed repair estimate for your watch via email. I will answer any questions you may have. When you approve the estimate, I will begin the repair process on your watch. When the watch repair is complete and the watch is being tested, I will send you an invoice. Upon receipt of payment, the repaired watch will be given a final inspection and boxed up safely for its return trip, insured Priority Mail, back to you. All repairs performed by A. Baizerman Company, LLC (ABCo) are warrantied for 2 years against any workmanship issues arising from labor performed by ABCo. This warranty does not cover replacement parts, which carry their own manufacturer's warranty. What the warranty covers: workmanship for a period of 2 years from completion date on all movement overhaul or movement exchanges, and 1 year for all 'a la carte' repairs such as bracelet repairs, crystal replacement, or battery changes. What the warranty doesn't cover: abuse or neglect by the owner; water damage from abuse, misuse, or neglect of a watch such as exceeding manufacturer's rating for water resistance; damage to the crystal, crown, or bracelet/strap, and damage during shipment not covered under shipping insurance or in excess of declared insurance value. © 2019 A. Baizerman Co. LLC. All product names, logos, and brands are property of their respective owners. Rolex is a registered trademark of Rolex USA and the A. Baizerman Co. is not affiliated with Rolex in any way. All Photos © 2019 K.F. Alderson & A.Baizerman Co., LLC. All rights reserved. Why should I send my fine watch to you? Many people repair watches, but I am uniquely qualified to service your Omega or other fine Swiss watch - over 18 years of experience including factory service and independent fine watch repair and restoration. I now provide fine watch repair nationwide through the mail. Why are you called 'Swiss Watchmaker'? I earned the title Swiss Watchmaker at the WOSTEP School in Neuchatel, Switzerland. In 2007, after repairing fine watches for several years, I received a full scholarship to The Refresher Course. 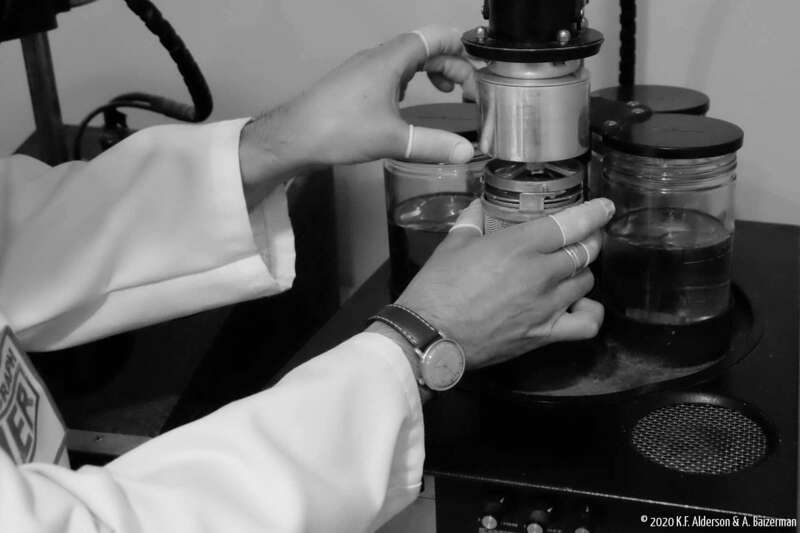 This advanced course is designed to elevate an experienced watchmaker to the level of Swiss Watchmaker. The WOSTEP school is underwritten by the Federation of the Swiss Watch Industry and fewer than 400 watchmakers have completed this program since the 1960s. What is an Omega Level 5 Service Provider? This certification means that I am among the most qualified watchmakers in the world to repair your Omega watch. 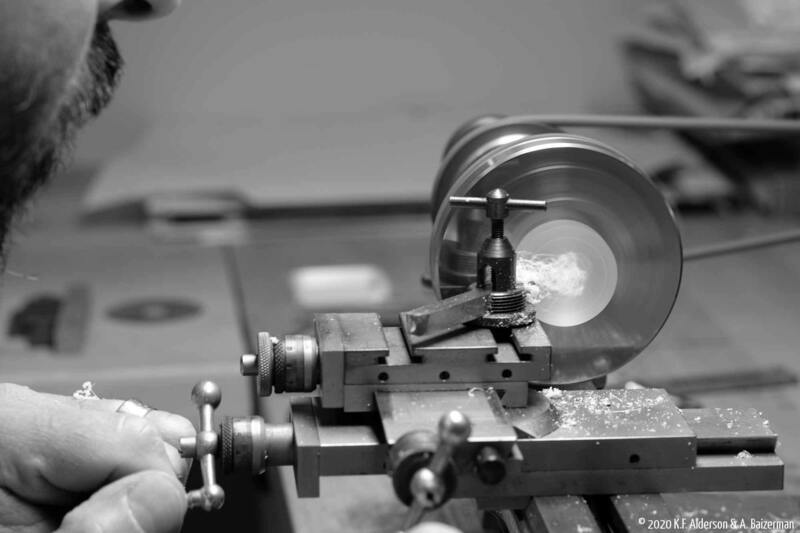 I have nearly 20 years experience repairing modern and vintage Omega watches, including Coaxial Escapement watches. In 2015, I completed the Omega Watchmaker Evaluation and was awarded OWME Certificate #021. To achieve this Omega Level 5 certification, my skills and equipment were evaluated by Omega technical staff. How often should I have my watch inspected? Watches should be inspected about every five years. Regular service ensures that the watch continues to function properly. A brand-new mechanical or quartz watch can run for five to ten years before service. I recommend wearing your quartz watch until the battery needs to be replaced. Have the watch inspected when the battery is changed. I offer full service quartz watch repair including battery replacement for most brands including Omega, Rado, Tissot, Longines, Hamilton and Baume & Mercier. Do you buy & sell watches? I do not sell watches. I do occasionally offer to buy watches. Please contact me for more information. What is an 'overhaul' or 'complete service'? 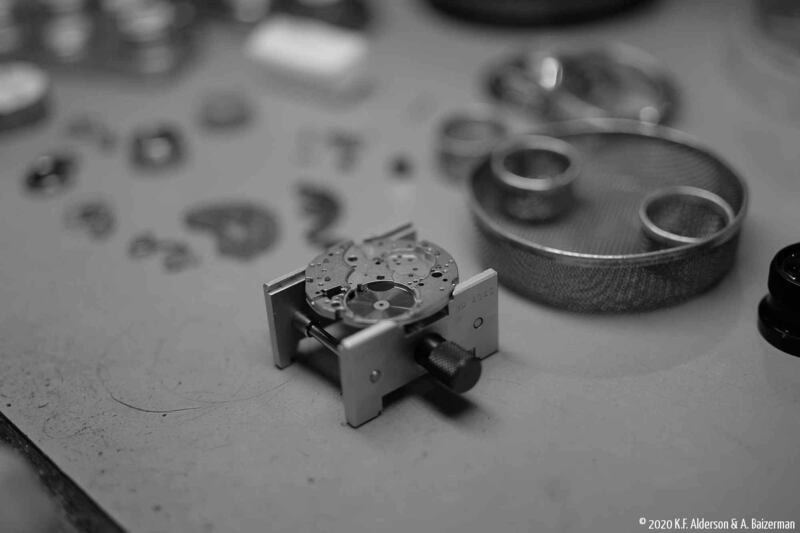 The case and bracelet are inspected and refinished, and the movement is taken completely apart. Every piece is inspected and repairs performed. The movement parts are cleaned in several ultrasonic cleaning baths. Once clean, the watch is assembled, oiled and adjusted. Do you replace watch batteries and crystals? Yes! I now offer some services with faster turnaround. Battery replacement with or without a water-resistance test can be performed and mailed back within one to two weeks. Please refer to the specials page for more information. Is my watch insured while in your workshop? Yes, my business is insured by Jewelers Mutual Insurance Company, and all customers' property is insured for replacement value while in the workshop and in transit back to you. The workshop is alarmed by ADT and all watches are stored in a fireproof safe. Repair time can vary greatly by brand and type of repair needed. Some repairs can be performed in two or three weeks, while complete overhaul service of a mechanical watch generally takes from four to twelve weeks depending on my workload at the time. A more specific timeline will be given with the estimate, and when approved, I will update you about the repair as it progresses through the workshop. Can I call you about my watch? I strive to spend my time at the workbench repairing your watch. Please call 612-354-7496 and leave a message. New customers should fill out the contact form to reach me. Can I drop my watch off? I am located in the Twin Cities - Minneapolis & St. Paul, Minnesota. I do not have a retail location. However, if you are in the Twin Cities, contact me to arrange a local dropoff. Do you have a question about repairing your watch? Thanks-I'll get back to you soon! When you're ready to send in your watch, please fill out this form. Use the 'send and print' button below to print a packing slip and let Ari know your watch is on the way. Shipping instructions and address will print on the bottom of the packing slip. I recommend sending your watch to me via USPS Priority Mail. Tracking is included. Insurance is additional. A Priority Mail Small Flat Rate Box is good size for a watch. Boxes are available without charge at any US Post Office. Put the watch in a small plastic bag. Enclose the top half of this form. Wrap the bag securely in at least an inch of bubble wrap. Then put the bag into a small box. Add more bubble wrap so the bag doesn't move around. If you are sending your watch in using a carrier other than the US Post Office, please contact me for important details. Your repair form has been sent.